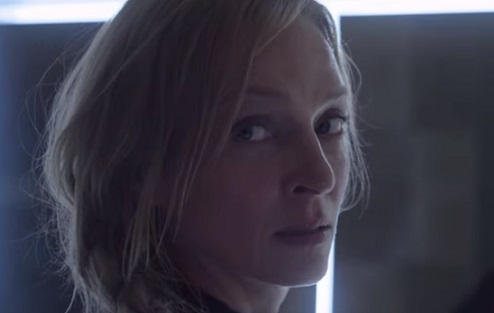 Netflix has released the trailer for the upcoming original thriller series Chambers. The show, created by Leah Rachel, revolves around a young heart attack survivor who becomes consumed by the mystery surrounding the death of her donor. According to the official synopsis, “the closer she gets to uncovering the truth about her donor’s sudden death, the more she starts taking on the characteristics of the deceased – some of which are troublingly sinister”. The cast includes Uma Thurman, Tony Goldwyn, Sivan Alyra Rose, Griffin Powell-Arcand, Marcus LaVoi, Nicholas Galitzine, Kyanna Simone Simpson, Lilliya Scarlett Reid, Lilli Kay and Sarah Mezzanotte. The trailer features Rose’s character, Sasha, the young woman who receives the heart, as she meets her donor’s parents, played by Thurman and Goldwyn. They say they had endowed a scholarship in their daughter’s name, Becky, and they want to offer the scholarship to Sasha. Soon after, she starts seeing things that Becky saw and becomes haunted by sinister impulses. Season 1 of Chambers arrives on Netflix, this month, on April 26.